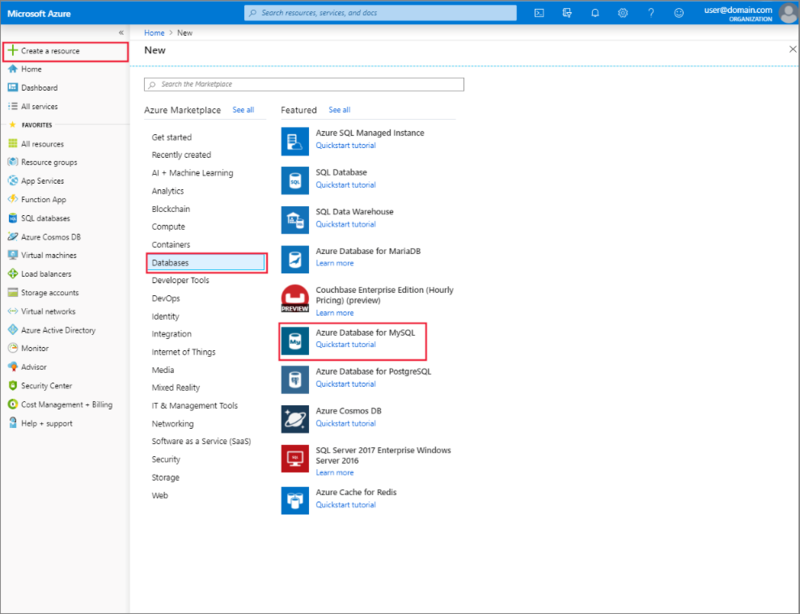 This topic describes how you can quickly create a new Azure Database for MySQL server. 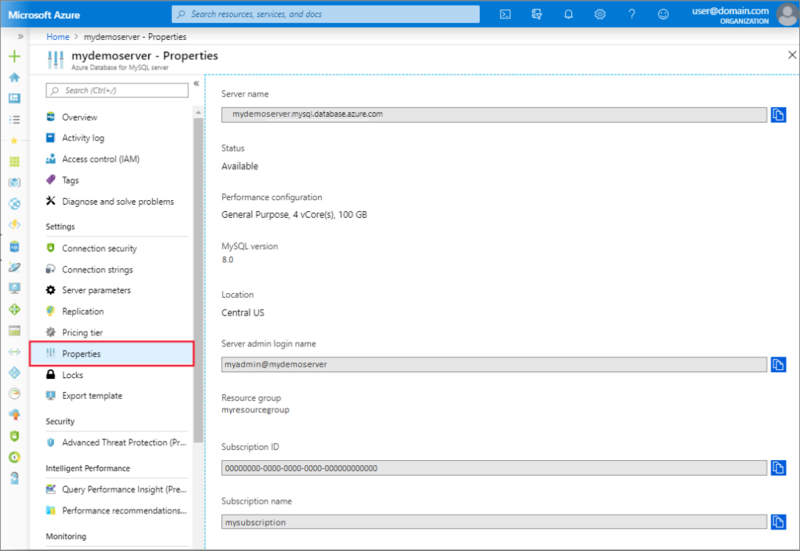 It also includes information about how to manage the server by using the Azure portal. Server management includes viewing server details and databases, resetting the password, scaling resources, and deleting the server. Click the Create a resource button located in the upper left-hand corner of the Azure portal. On the New page, select Databases, and then on Databases page, select Azure Database for MySQL. 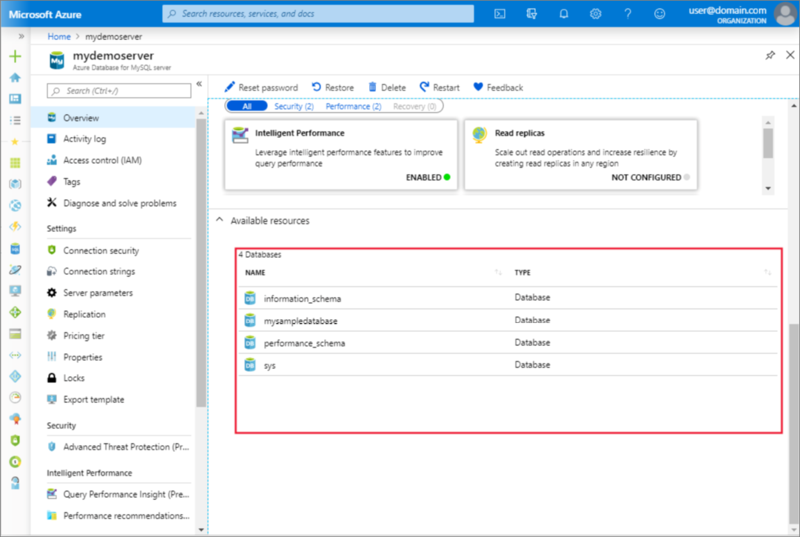 An Azure Database for MySQL server is created with a defined set of compute and storage resources. The database is created within an Azure resource group and in an Azure Database for MySQL server. Click Pricing tier to specify the service tier and performance level for your new server. Select the General Purpose tab. Gen 5, 2 vCores, 5 GB, and 7 days are the default values for Compute Generation, vCore, Storage, and Backup Retention Period. You can leave those sliders as is. 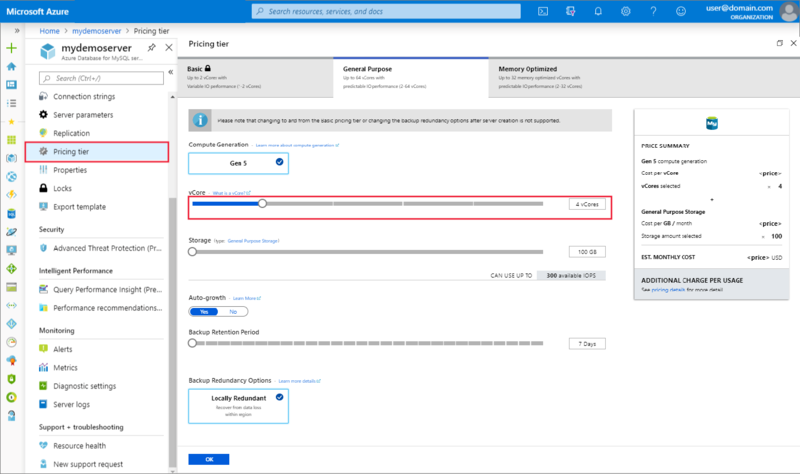 To enable your server backups in geo-redundant storage select Geographically Redundant from the Backup Redundancy Options. Select the Pin to dashboard option to allow easy tracking of your deployments. 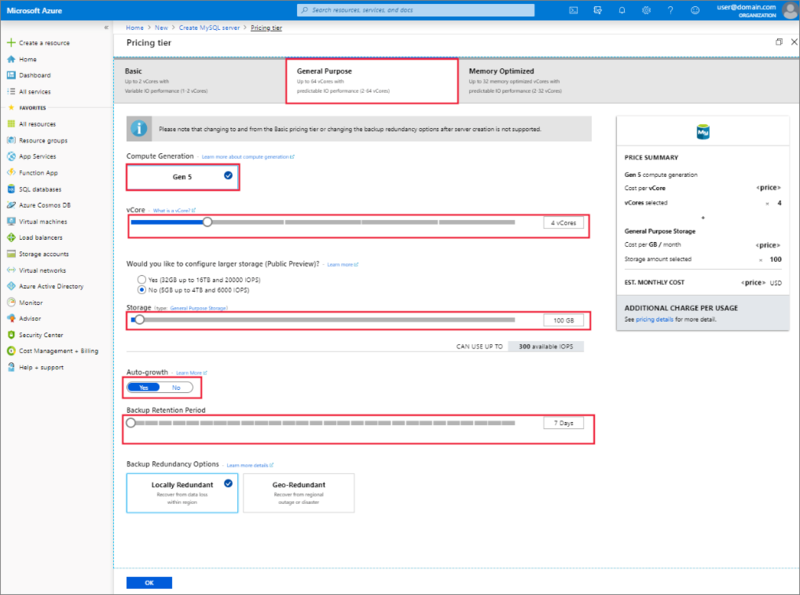 After the new server has been provisioned, the user has several options for configuring the existing server, including resetting the administrator password and scaling the server up or down by changing vCore or storage. 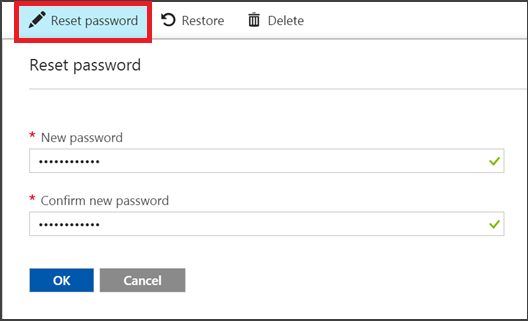 From the server Overview, click Reset password to show the password reset window. Click on Pricing tier, located under Settings. Change the vCore setting by moving the slider to your desired value. Change the Storage setting by moving the slider to your desired value. From the server Overview, click the Delete button to open the delete confirmation prompt. Type the name of the server into the input box for double confirmation. Click the Delete button to confirm deleting the server. 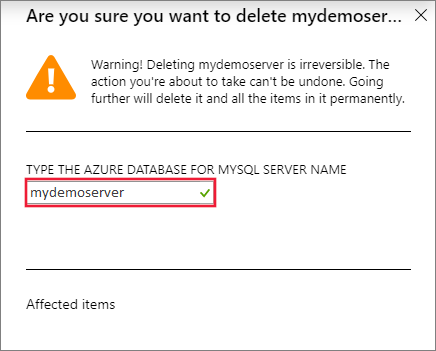 Wait for the “Successfully deleted MySQL server" pop up to appear in the notification bar. From the server Overview, scroll down until you see the database tile at the bottom. All databases in the server are listed in the table. Click on Properties, located under Settings to view detailed information about the server.